The movie The Silence (2019) tells the story of a family struggling to survive in a world terrorized by a deadly, primeval species who have bred for decades in the pitch darkness of a vast underground cave system, hunting only with their acute hearing. As the family seeks refuge in a remote haven where they can wait out the invasion, they start to wonder what kind of world will remain when they’re ready to emerge. 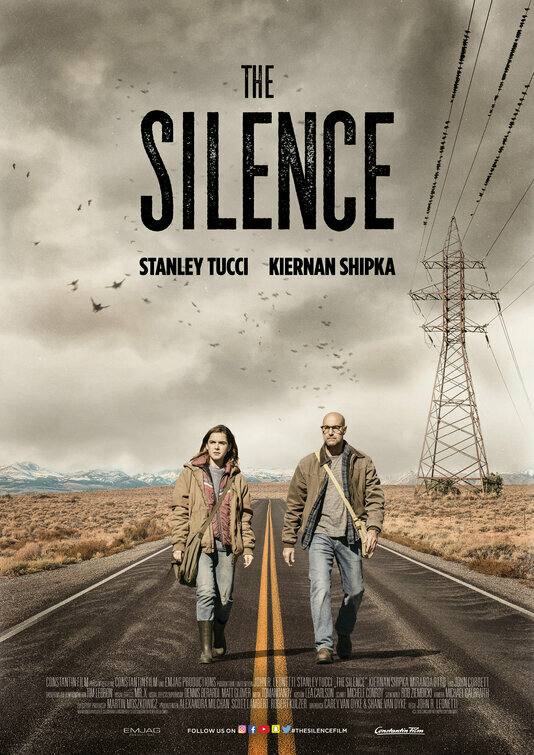 The Silence was picked up by Constantin Film after Global Road went bankrupt and out of business.